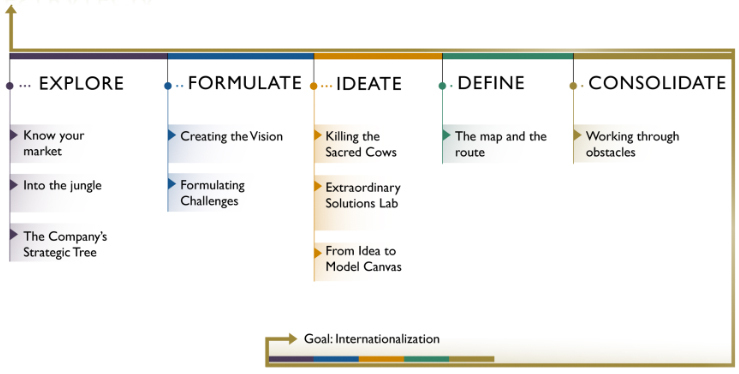 The formulation of the strategy is a key process because it defines the direction in which the organization evolves. For the implementation to be successful, everyone within the company must internalize the strategy and transmit it in their daily actions. For this reason, it is important to engage representatives of different departments in the process of creating a new strategy. Before starting the strategic process, we we’ll identify the most influential individuals within the organization so they may form a team and act as the driving force for the new strategy.